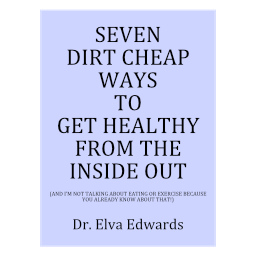 April 2018 – Dr. Elva Edwards, D.C.
How many people do you know who go to the doctor with complaints, have numerous tests performed, and yet they can’t find a diagnosis? These poor people are go from doctor to doctor, have test after test, and still don’t feel well. The problem is they don’t have a disease. A diagnosis is normally a disease. Doctors look for disease. Even arthritis is considered a disease. If you don’t have a disease, they don’t have a diagnosis for you. That is why people have a problem for a good while going from doctor to doctor and nothing can be found until it is. Now you have a disease. To me, health care should be about intervening BEFORE the disease is found. After a disease is found, it is sickness care. I like to think of what I do as making the body function better so that the process of disease is interrupted. Sometimes the trajectory toward a disease is completely thwarted. Going toward health and away from disease is the intention. Of course, we are all aging. Have you noticed we have more issues with age? If you are experiencing an issue and need help, come in. It is liver time of the year! Get your spring tune up! With the warmer weather, you are outside working your gardens or going for walks. It is so good for you to be physically active but I don’t have to tell you that you can’t do today what you did when you were younger without paying a price. 1) At the end of a day where you have been physically active, find your rolling pin. Have you noticed you don’t use it much anymore, at least not for its intended use? Use the rolling pen on your legs. Always start away from the heart and massage up toward the heart. Do the front of the legs and the back of the legs, and don’t forget the sides. My Granny had a completely different idea for her rolling pin, but for me, this is about as much use as it gets. If you prefer the real deal instead of a rolling pin, I have a few in my office for sale. Yes, they might be a little better than the rolling pin, but anything is better than nothing! 2) Don’t forget an Epsom salt bath if you have cramps in your legs or back, or have sore muscles. The magnesium is absorbed through the skin into your tissues without going through the digestive tract, which can cause diarrhea. If you want my detox bath, go to youtube.com and search my name. I have a video up demonstrating my detox bath. 3) There are many potions that will help your muscles relax. I like using my WO oil. I also like Pain Away which is an essential oil. Tiger balm is great. And if you haven’t ever used Traumel or some kind of lotion with arnica, you might like it. And don’t forget the cbd body butter I told you about previously. All of this is to say, keep exercising! Be moderate and enjoy what you do!